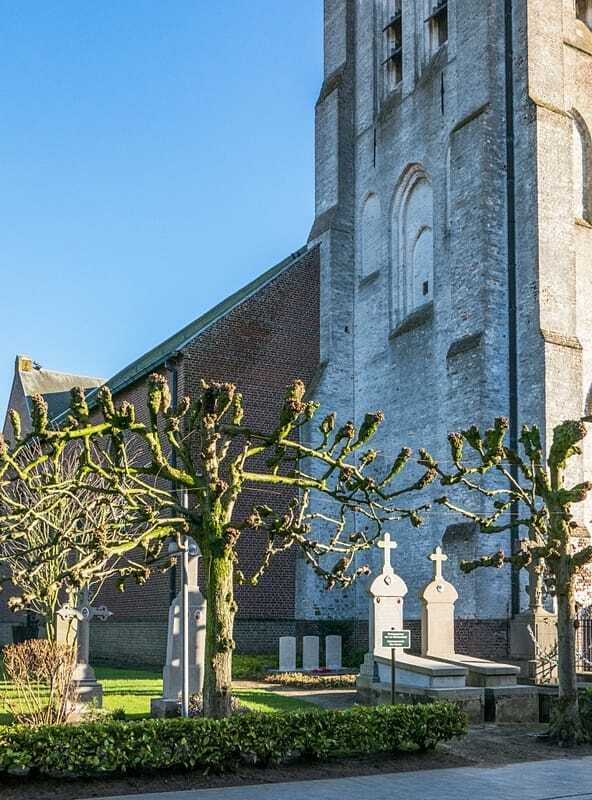 The village of Zedelgem is about 8 kilometres south-west of the town of Brugge (Bruges) off the N32 which runs between Brugge and Torhout. Driving from Brugge follow the N32 to the junction of the N309. 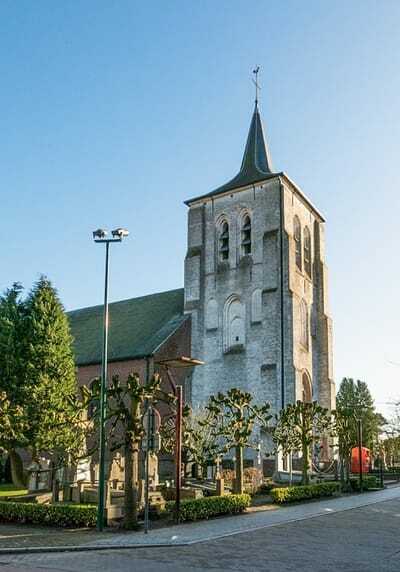 Turn right toward Zedelgem, when you arrive in the village centre there is a T junction, turn right into Snellegemsestraat, then take the first turn left which is Kerkplein. The graves are located at the left of the church by the entrance. 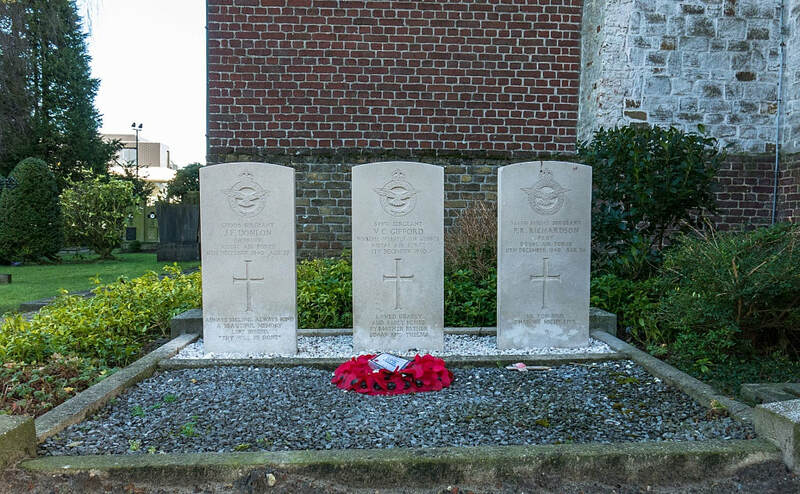 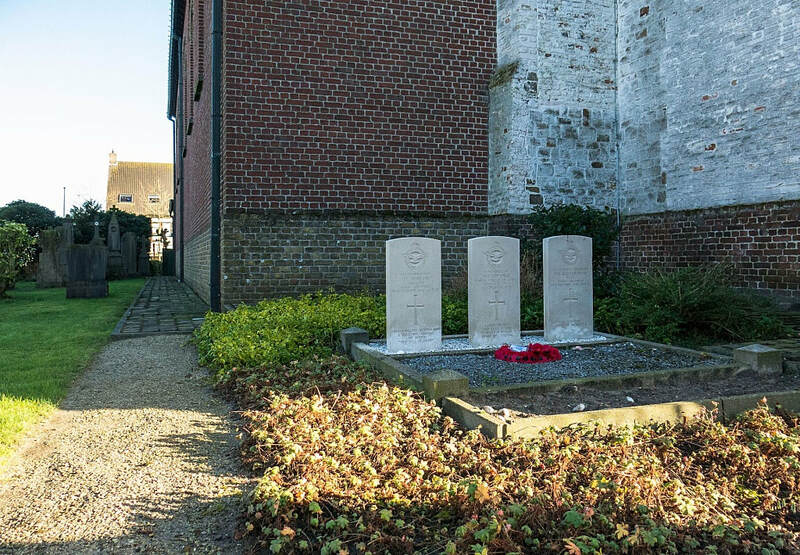 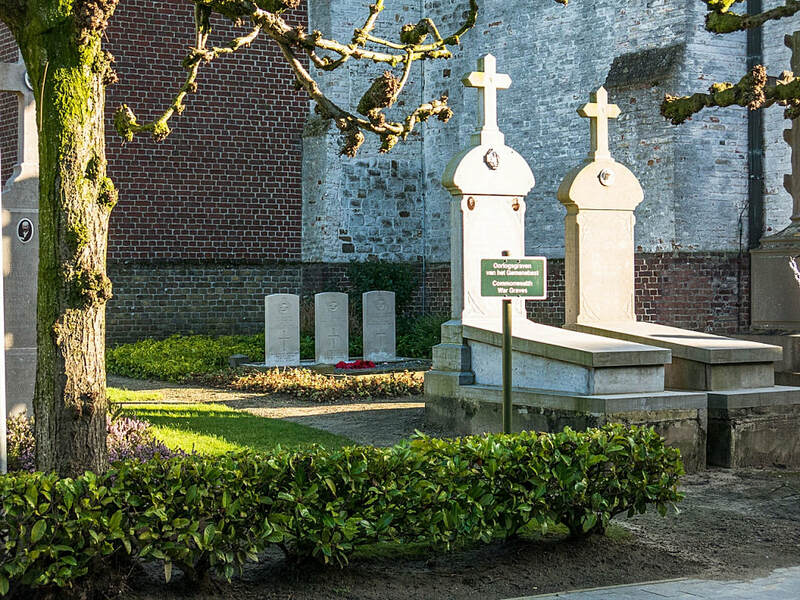 Zedelgem Churchyard contains the graves of three Commonwealth airmen of the Second World War. 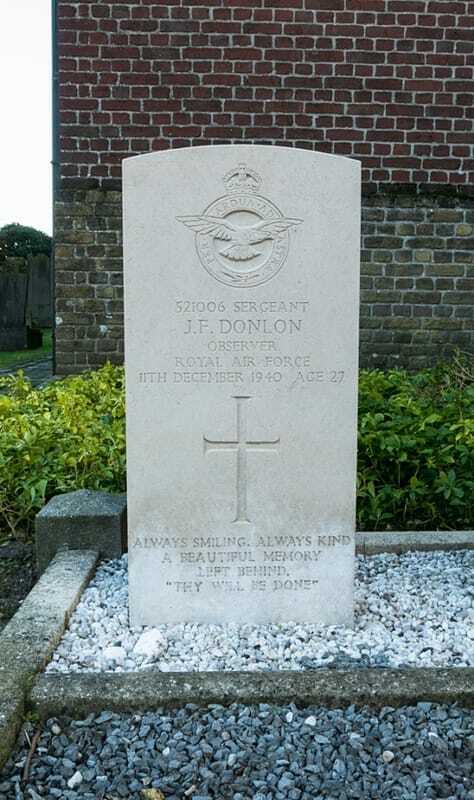 521006 Sergeant James Frederick Donlon, Observer in 105 Squadron, Royal Air Force, died 11th December 1940, aged 27. Son of Michael James Donlon and Sarah Jane Donlon, of Princes Risborough, Buckinghamshire. 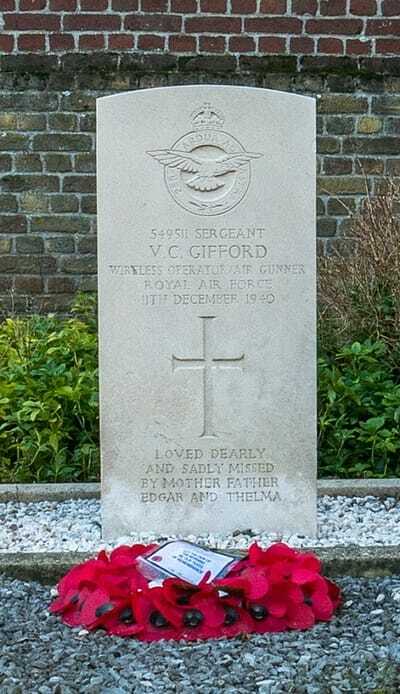 549511 Sergeant Vivian Charles Gifford, Wireless Operator in 105 Squadron, Royal Air Force, died 11th December 1940. 565331 Flight Sergeant Patrick Ranby Richardson, Pilot in 105 Squadron, Royal Air Force, died 11th December 1940, aged 26. 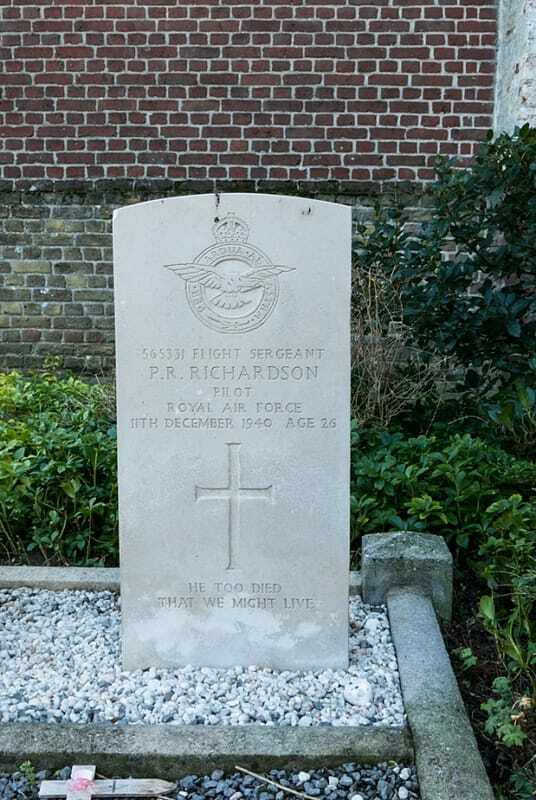 Son of Joseph Richardson and of Ethel Moore Richardson (nee Craig); stepson of Group Captain A. S. Thompson, R.A.F., of Blackpool, Lancashire.